Showing results for tags 'traveller'. Based on the psionics system from the Mongoose Traveller SRD. These combat tables contain BRP conversions of the smallarms and light support weapons from Striker! 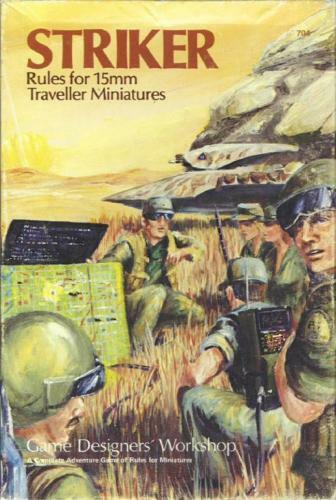 Book 3 for Classic Traveller, plus a little rule that reconciles armour penetration with bullet damage. You will need to look at the original books for descriptions of the weapons, because we don't want any copyright problems here ... Or you could use a bit of common sense (they're not completely fictional weapons after all). Or look them up in the Mongoose Traveller rules or the MGT SRD.